We headed over to my parent's house in Eastern Washington for Christmas. There was snow on the ground, but it was pretty frozen, so it didn't lend itself well to playing. I ended up videotaping the opening of the presents, which is why there are no pictures! Of course, both kids were super spoiled. 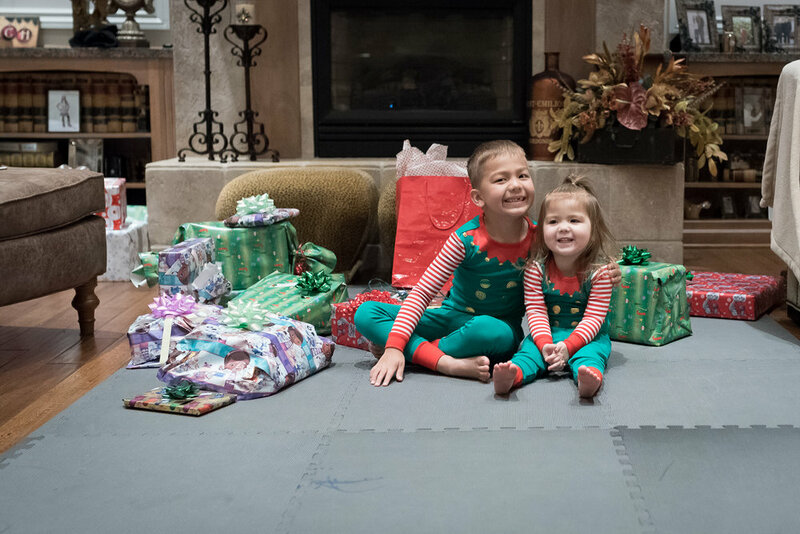 Decker got a variety of gifts, including some Star Wars action figures, which he loved playing with. Kressa received a lot of Peppa Pig paraphernalia. Jason cooked a delicious Christmas dinner of prime rib, macaroni and cheese, brussel sprouts, mashed potatoes, gravy and rolls. Unfortunately, I woke up with a cold on Christmas Day, so didn't really end up eating that much of the food!